Am I the only one who doesn’t want to dye Easter eggs? I just don’t love the mess of it, the time it takes, and the fact that the egg will rot. As a whole, the whole endeavor leaves me ready to scream. Well, I should say it used to leave me ready to scream. 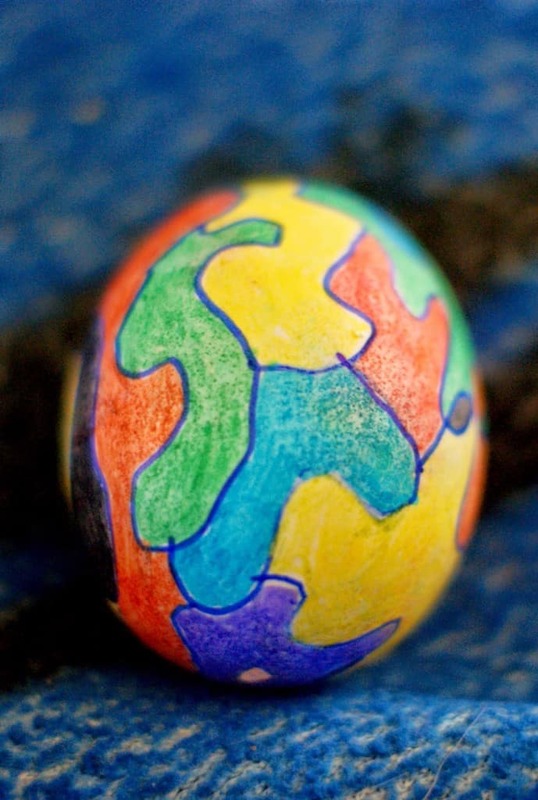 Now I love decorating Easter Eggs with my kids. 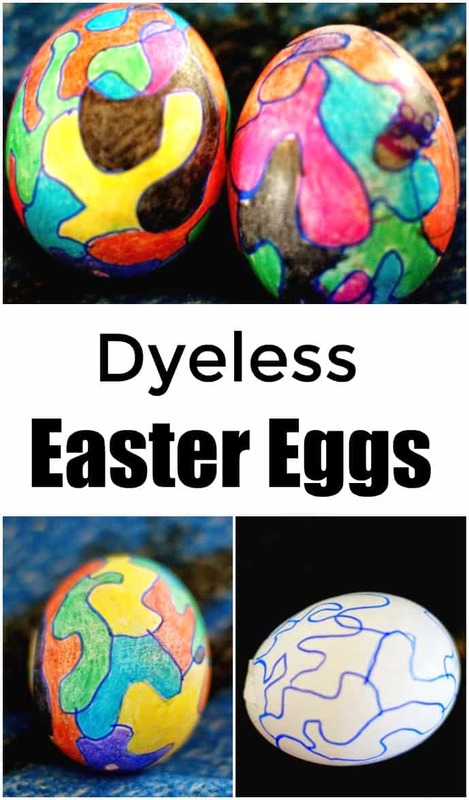 Let me share some tips to save you some time and enjoy these dyeless Easter eggs. Blow out your eggs – Because I don’t want video of myself doing this on any form of media that could come back to haunt me I am going to let the lovely ladies from Modern Mom teach you this step of the process. Rinse with soap and water – I soaked mine in anti-bacterial soap and water to make sure that they didn’t have any residual egg in them. Then I drained all the water and let them dry. 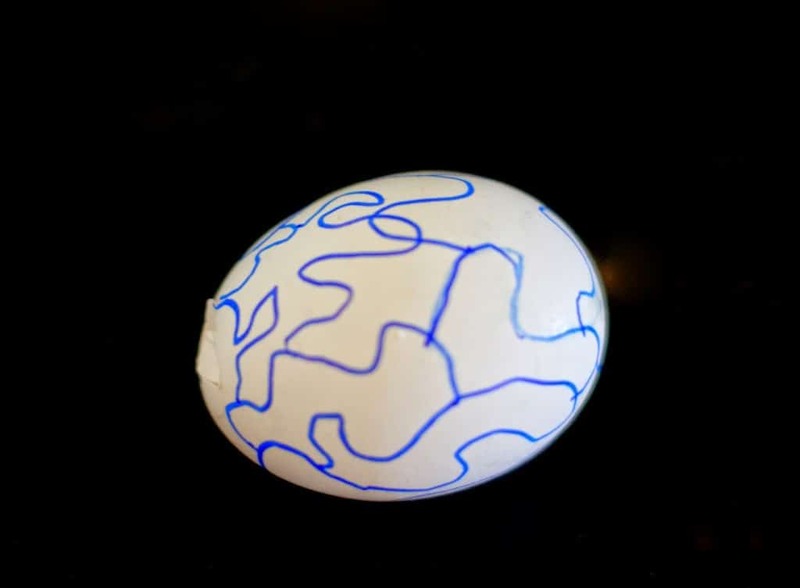 Draw your design – Use a sharpie marker to make a squiggly crazy design on your egg. Try not to make the blobs too small or you will be working very hard at coloring time. 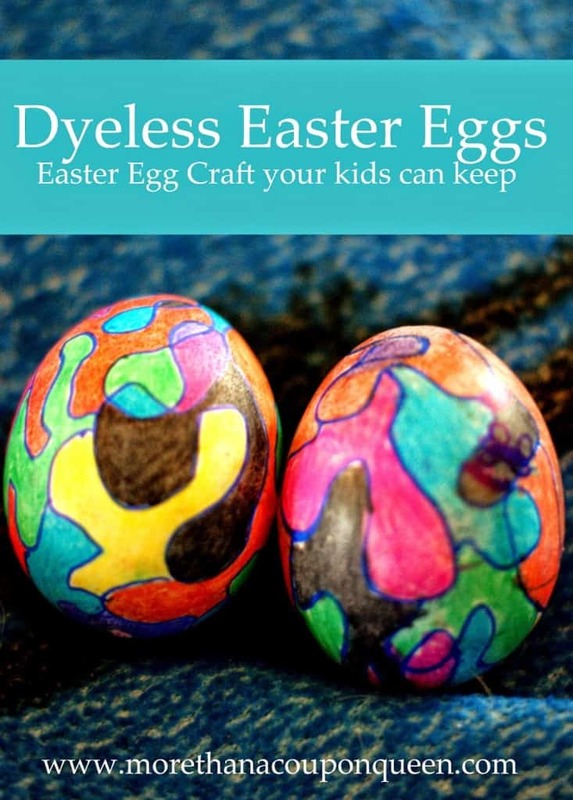 Color your egg – Using your markers color your egg. Here’s the catch, don’t let any color touch itself. The goal is to never ever let the same colors be in blobs that are touching. It’s that simple. The design can be as simple or as complex as you want based on how many markers you have, how much time you have, and how small you make the blobs. This is cute!! I may just try this and let them each have 1 or 2 to try out…thanks for sharing!